File:Celts.svg is a vector version of this file. It should be used in place of this raster image when not inferior. 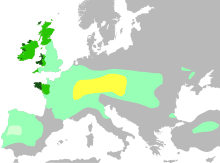 "The green area suggests a possible extent of (proto-)Celtic influence around 1000 BC. 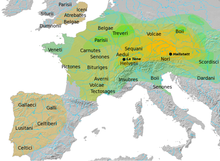 The orange area shows the region of birth of the La Tene style. 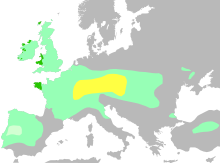 The red area indicates an idea of the possible region of Celtic influence around 400 BC." "birth of the La Tene style"
This page was last edited on 1 October 2018, at 06:09.